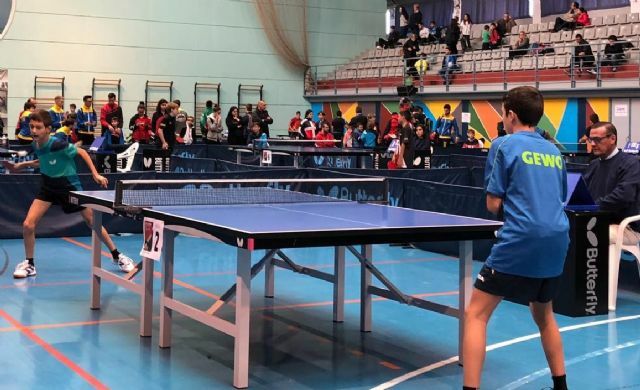 The first nine of each category obtained a direct place to participate in the National Tournament to be held in February in Valladolid. In the category Alevín three totaneros participated: Cayetano Rodriguez, Pepe Carreño and Gabriel Sánchez. 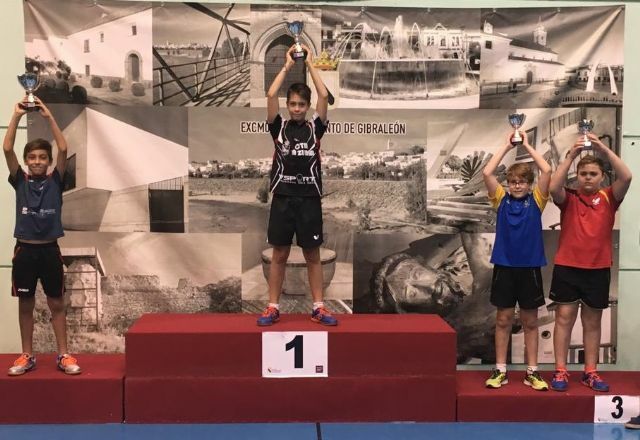 GABRIEL SANCHEZ PODIUM IN THE CATEGORY ALEVIN. The best position of the expedition of the club was obtained Gabriel who was in fourth position. He managed to be first in his group after winning all four matches which earned him to enter the final table in the round of eighth. He won the first elimination to Marco Pastrana de Carmona. In the quarterfinals he had a match of great intensity where his rival Iván Hevilla de Cártama had two match balls with 2-0 but Gabriel reacted well and managed to overcome with brilliance. In the semifinal the opposite happened to him, he got the totanero 2-0 but in the end it was Extremadura Sergio Pérez who got the comeback that put him in the final. After Gabriel through injury did not play the game for the third and fourth place. Our other two fry also had a very meritorious performance. Both managed to overcome the first phase being second in their respective groups. 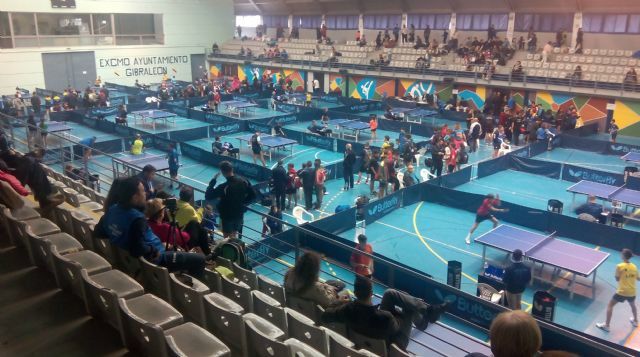 Cayetano at the junction of ten and seisavos was eliminated in an even match in which the fifth game was reached. Meanwhile Pepe Carreño managed to pass the first round and then was eliminated knockout in another equal match in which he reached the advantages of the fifth game. In the Youth category three were the participants of our club, Alejandro López, Santiago and Domingo Méndez. Alejandro in the most complicated group was very close to surprise the two heads of series but did not get it and in the end it was fourth being out of the final table. Domingo and Santiago did get the pass to the final table both as group seconds but then they were eliminated in the first round. Julián Méndez was our representative in the absolute category. Good and hard games of Julian but in the end he was fourth and was out of the draw. In the category of veterans our only representative was Juan Pedro Sánchez who was finally eighth getting a place for the State Tournament. The rest of the club's veterans did not participate as a protest for the position of the Spanish Federation in the conflict that it maintains with the Spanish Association of Veteran Players. 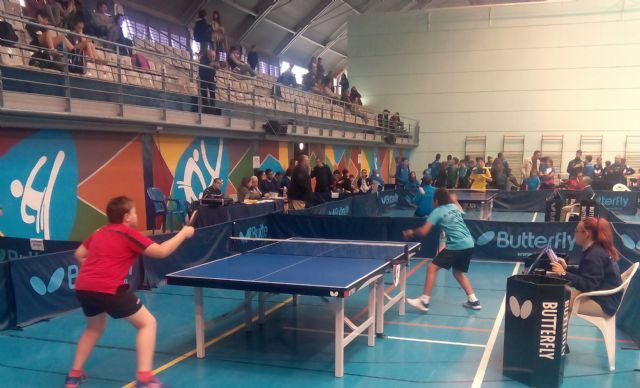 Good organization of the Municipal Sports Board of the beautiful town of Gibraleón that turned with this sporting event in which 350 players from Extremadura, Andalusia and Murcia participated.